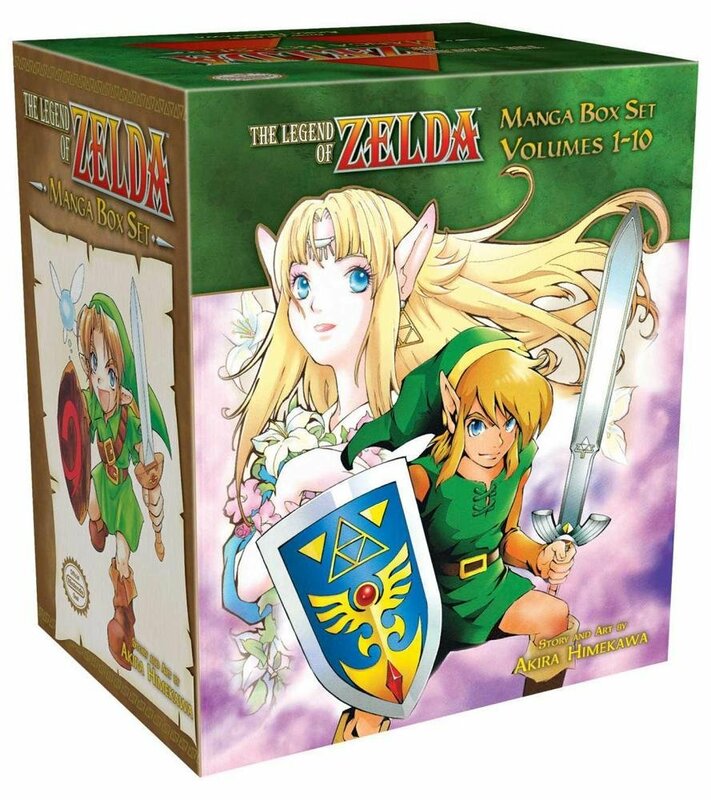 Legend of Zelda fans, if you don’t know, now you know that there are two Legend of Zelda box sets. If you love the Legend of Zelda and you love reading, this may be just the thing you need to add to your collection. This box set includes volumes 1-10, as well as a collectible poster. The volumes are appropriate for all ages and read from Right to Left. This box set has a 5 star rating on Amazon with great reviews. It is a must have for any Legend of Zelda fan, no matter the age. Can I just say this set looks amazing?! This set has six hardcover guide books contained in a Legend of Zelda box and held closed by a magnetic clasp. It also includes a 2-sided etched bookmark, as well as, a certificate of authenticity. This set is limited edition and will only be printed once, meaning, once this product is sold out they will be gone forever. This would be a beautiful and useful set to add to your collection. So, if you need this in your life, hurry before it’s gone. If you have bought these book sets, take some time to brag in the comments. Tell us your opinions on the books! We would love to hear from you.